Our lessons will always be free. 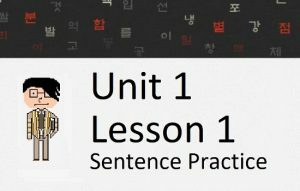 However, you can purchase PDF copies of our lessons in Units. 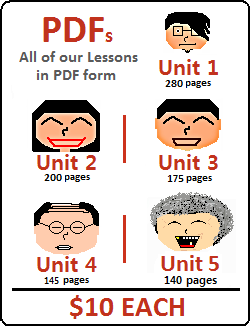 Each PDF contains of all 25 Lessons from each respective Unit. These PDFs can be printed at your leisure to be used for studying when you don’t have a computer around – or if you simply don’t like studying through a computer screen. 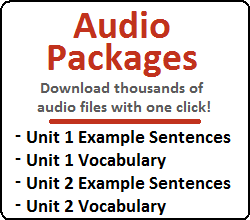 Each PDF contains of all 25 Lessons from each respective Unit: Unit 1 (270 pages), – Unit 2 (200 pages), – Unit 3 (175 pages) – Unit 4 (125 pages) and Unit 5 (140 pages). Each Unit PDF is priced at $10 each. If you live in Korea, you could also send us the funds directly to our bank. 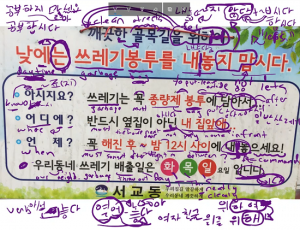 If you prefer this, e-mail us at howtostudykorean@gmail.com .